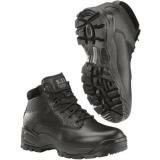 A good law enforcement equipment loadout is built from the ground up. 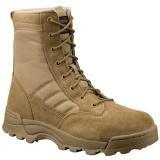 High-quality tactical boots and shoes prevent injuries, increase mobility and provide all-day comfort. 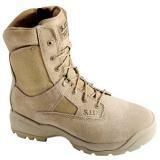 Our selection of men's boots and shoes includes designs from the world's leading tactical equipment manufacturers, including Original SWAT, 511 Tactical, Altama and Blackhawk. 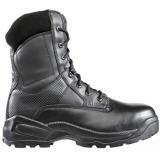 Tactical boots are the most common type of law enforcement footwear. They are typically built for extreme durability, with uppers made from high-strength leather, suede and synthetics like Cordura. Many styles are equipped for all weathers with water-resistant linings or surface treatments. Some types also come with warm insulation for winter conditions. 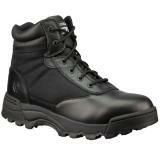 Reinforced metal or synthetic safety toes are common in order to increase protection in hazardous environments. 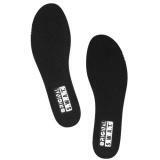 Their high-traction soles provide a secure grip on a variety of terrain types, and are often designed for oil and slip resistance to provide additional safety and stability. 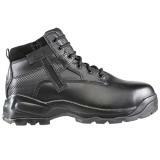 Law enforcement officers spend a lot of time on their feet, and so tactical boots are built for comfort as well as durability. 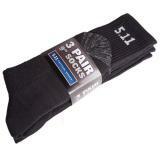 Moisture-wicking liners are common in order to prevent sweat buildup. 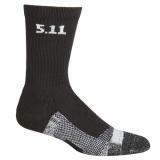 Cushioned midsoles and sculpted insoles provide support and cushioning, reducing fatigue and injury rates. 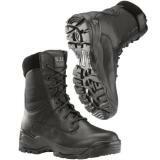 Almost all boots feature a metal or synthetic shank that provides further stability. 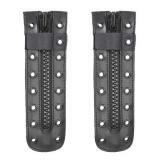 The shank also offers some extra protection against punctures from below. 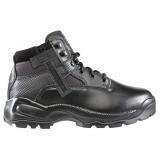 As well as boots, this section includes tactical shoes. 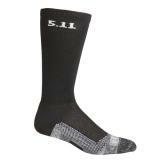 This are typically athletic styles designed to provide high levels of mobility and speed. 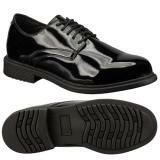 Protective dress shoes are also available, ideal for duty use in more formal environments. 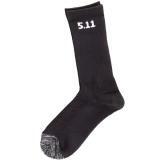 It also contains socks in a variety of materials and lengths to suit different climates and footwear styles, as well as footwear accessories such as replacement laces and strap-on ice grips. 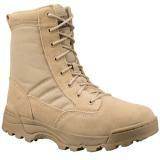 When shopping for men's tactical boots and shoes online at CopsPlus, don't forget that every pair is backed by our low price guarantee.